“My heart wants to see women excel in every area of their lives.” This quote from conference leader and comedienne Adaylah Banks summarizes her life’s purpose. In comedy, her approach comes directly from real life experiences as a woman who doesn’t settle for second best. Combining her diverse comedy training with her management and leadership abilities, Adaylah launched Laugh Medicine’s Open Mic in April 2010, Comedy Supreme (an all-female comedy show) in September 2010 and My Funny Valentine (a fundraising show to help end chronic homelessness in Washington, DC) in February 2011. 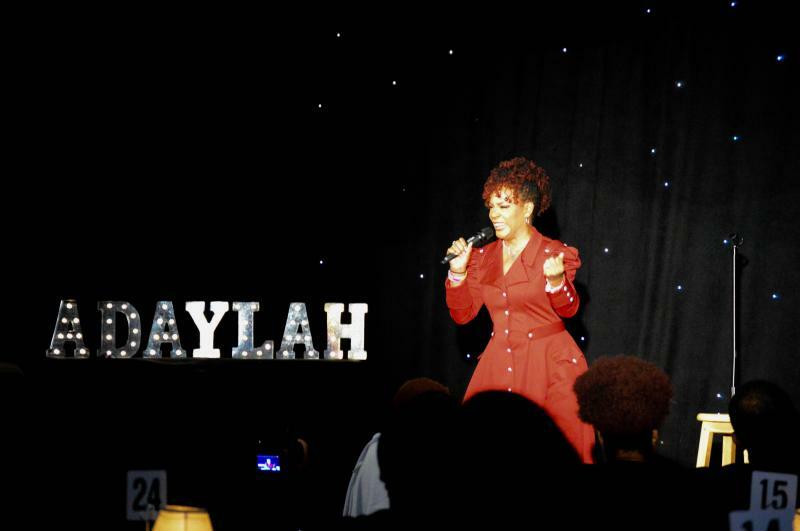 Adaylah is a comedienne for the people, especially women. Her passion to create platforms for women to excel and to be honored was demonstrated when she created the Supreme Woman Award in 2013 – this was after her peers honored her with the same award. Adaylah’s latest endeavor, Girl Get Your Life Empowerment Conference, expands her repertoire and shows her knack for coaching people to their greater selves.